Hi! I’m so glad that you have stopped by. 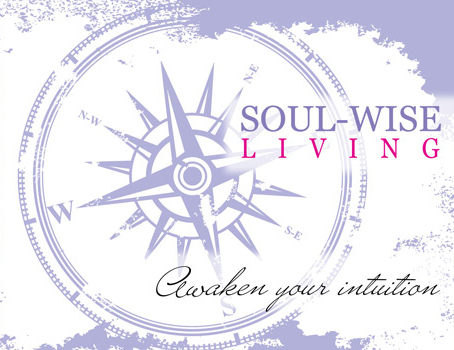 How long have you been doing what you do and how did you get to be a Spiritual Awakening Mentor and Master Soul Coaching® Trainer & Practitioner? I guess you could say I’ve been doing this work all my life or at least as far back as college. I was a resident assistant in a freshman dorm where I was guiding young women to make wise choices based on their wisdom rather than on the advice of their peers and influencers. Yet, I strayed from this. Like many, I let ‘life’ take over and made choices based on who and what others thought I should be. As my career as a YMCA professional began to flourish, I became increasingly unhappy with my life and, ultimately, fell into a deep depression. It was in this space that I had to do my own personal growth and spiritual development and sought support from mentors to hear my own inner wisdom and find the courage to act upon it. The first step to aligning was a career change. I began first as a massage. Little did I know that much of the work I was doing was shifting their perspective as well. It was in the face of all of this that I was called to be the catalyst to help others minds as well. And, I opened Soul Wise Living. I’ve now taken all the tools I’ve accumulated over the years. The tools I’ve used in my own healing, learning and being as well as Soul Coaching® with Denise Linn and numerous awakening workshops and blended them in a unique way. I’ve created a unique system to support others to navigate to find their own inner GPS. They use this system to discover their own soul’s wisdom and find great clarity and ease in decision making to experience exponential joy and abundance. Blending these, I help people really understand what their soul’s wisdom is trying to share with them so they can gain the peace-of-mind they crave and experience exponential joy & abundance. What results do your clients receive? By working with me, my clients leave their limiting beliefs and patterns of behavior that do not serve them behind. They create not only a new mindset but also discover their own “soulset” ~ an approach to living from their inner wisdom. This propels them into having Joy in their lives that they once thought was impossible. During those pesky moments of self-doubt and life challenges that we all encounter, they easily and effortlessly calm the negative internal dialogue and soothe their emotions to make the best possible choice from their hearing and understanding inner wisdom and intuition. They now make choices are always for their highest good because The Soul Knows The Truth. My clients are overwhelmed professional and entrepreneurial woman <and advancing men> and creatives who know they have something special inside to bring out into the world. They are those who are ready to step forward. They understand that some of this work is challenging but know, with the right support, they will be able to use their newly found inner compass to untangle the web of half-truths (and even lies!) they’ve been telling themselves and begin to take courageous action each and every day. My clients have so many responsibilities that often they don’t see a way to slow down to hear their own self-think, and often are guided by the influences of the world around them. But, they are being called to discover a way to have the faith and trust to step forward from their own inner compass and brilliance. My clients, perhaps you, hear a higher calling and are ready to understand it with greater clarity. They are seeking support and guidance to understanding how to hone in on their intuition. These are the awakening individuals of the world. I also work with those who have stepped across this threshold and are embracing universal laws and spiritual practices. They are using them in their lives to discover and enhance greater peace-of-mind and joy that they are already feeling. They understand that personal growth and spiritual development is an ongoing journey and as such are ready to embrace a one-on-one mentorship program for further guidance. They are ready to address the next limiting belief or behavior to step further into their own power and experience all their dreams and desires. They are ready to weave this new found knowledge into life with their family, their children and their colleagues. How do you work with your clients and what does the program entail? My private clients are from all over the world. We work together virtually, through video-conferencing, so are not limited by geography. Our work together is paced to give you the support and time you need to get the maximum results possible. Mini-retreats, two or three sessions per month, and follow up emails create a supportive and nurturing environment for my client’s growth. So you are a life coach? What I do is very different than life coaching, which usually focuses on achieving what you want through goal setting, action steps, and motivation. My primary work is to be your catalyst for your own personal growth and development by helping you clear away inner debris so you can uncover your own innate wisdom. Life coaches often hold their clients accountable to reacher a higher level of excellence through motivation and pushing which, while it can work well, it can also lead to a tiredness within. What is missing from this and where I come in is supporting your vital need to connect every day with your inner wisdom ~ to hear it more consistently, to understand it more clearly and act upon it more courageously. This allows you to take more focused action and make choices best on what is right for you and everyone around you. Since your soul knows the truth, your actions are one of soulful inspiration and for your highest good. What’s the biggest concern you hear from people who postpone working with you? That’s easy! People will say: “I have a busy life. Although I really want to have more peace-of-mind, joy, and abundance, I’m not sure I’ll be able to devote much time to this.” I’ve heard this so many times! Busy schedules do not shift ~ not for those who want to live life fully. So, my question here is why would you want to postpone clarity? Put off having peace-of-mind? Have you ever known life to be simpler as time goes forward? Well, It can be if you have clarity. It happens when you can find peace in any given situation and step forward in Joy no matter the obstacles. When you incorporate the simple, easy, moment to moment spiritual tools that I teach and follow the compass to your inner wisdom, you will have all this and more. The work we do together can be put into anyone’s lifestyle NOW the ability to empower yourself and step fully into your life using this simple tools I teach! I am your Soul Wise Living Mentor and am here to support all those who are ready to start living by using their own compass of inner wisdom. I’d be honored to schedule a Sacred Soul Chat to meet with you to see if we are a good fit together. My clients are those ready to step forward. They understand that some of this work is challenging but know, with the right support, that now is the time to do the work. They know it’s time to get off the emotional roller coaster and ground in their own inner strength. By doing so, they will hear their own inner wisdom more consistently, understand it more clearly. By doing so, they begin to take courageous action each and every day based upon their own inner compass for more joy and abundance. Isn’t it about time you consider this for yourself?